Luggage is always an issue when you travel as much as I do. 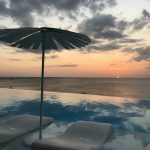 What’s the best luggage for me and my needs? Is it durable? Will it last? Does it have the proper pockets, storage and space? Is it sturdy? Will it jam? I’ve dealt with all these issues for the last 20 years and have been through my share of luggage. 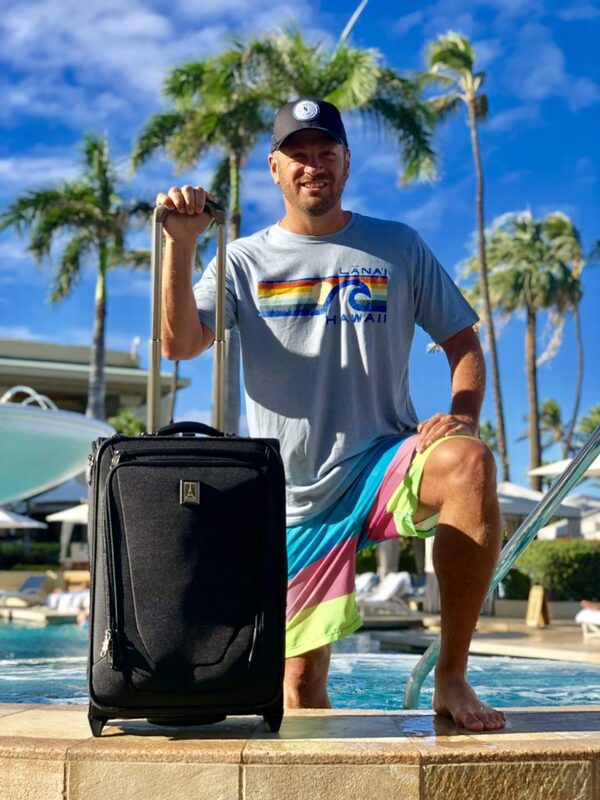 Although I’ve just started, my experience using Travelpro® luggage has been excellent thus far and I plan to continue using it even after our partnership is over. These are the 2 bags that I have and have been using. This is the civilian version of the original Travelpro® Rollaboard® that airline pilots and flight crews have depended on for decades. It’s a perfect carry-on bag. It’s spacious and I am able to get everything I need into it. It’s also expandable if I need a little extra space. It’s super sturdy; both the bag itself and the handle. This has always been an issue for me so that’s a great feature. Plus, it has a dedicated power bank pocket and external USB power port. It just feels good when you’re traveling with it; not all luggage feels good. Meaning it rolls smoothly. It’s sturdy, it doesn’t feel like it’s going to fall apart every time you hit a bump. I like the high-quality ballistic nylon fabric that feels good to the touch and is also stain and abrasion resistant. I also like the limited lifetime warranty. It’s a really good bag! This is the Travelpro Rollaboard® garment bag designed to glide through long airport terminals with ease. 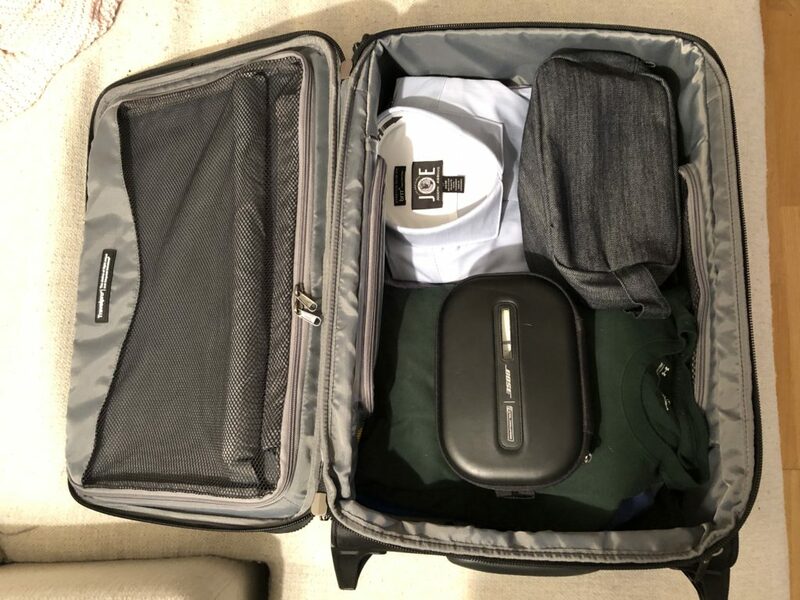 It has an extension panel that makes it easier to pack longer garments and a padded roll bar keeps items in place and wrinkle free. It has multiple pockets for different clothing, etc. and provides excellent packing capacity for short or medium length trips. You can use this bag as your only bag when you travel. I’ve always had a tough time with garment bags. They’re often unsturdy, flimsy and they’re hard to get open and closed with awkward zippers that often break. I honestly feel like this is the best garment bag I’ve ever tried. 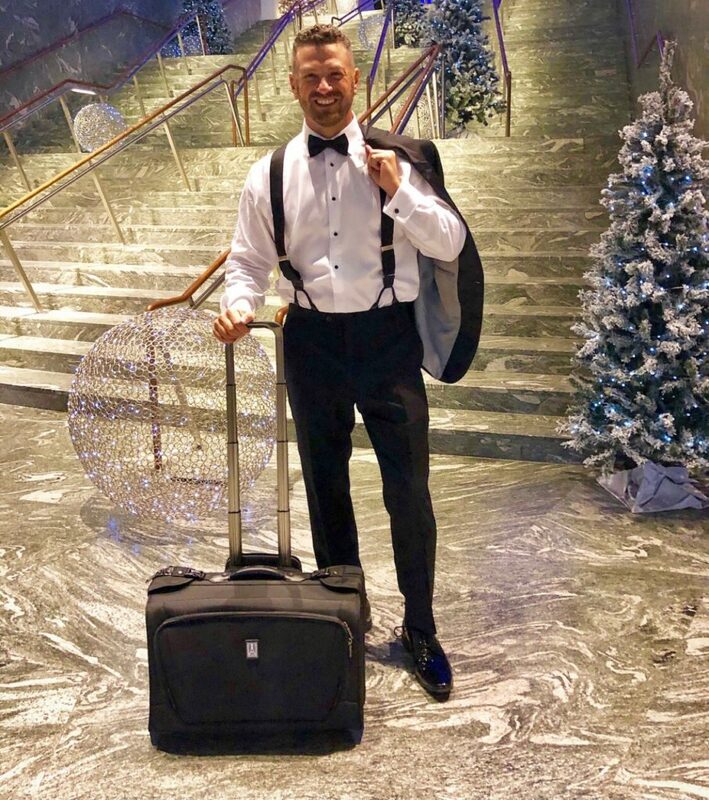 I haven’t had any of those issues and when I arrived at the hotel, my tuxedo was like I just got it from the dry cleaner. So I’m a fan of this garment bag and I definitely recommend it. Luggage is a personal thing, we spend a lot of time with it, and we all have our preferences. For someone like me who literally can live out of my bag, it’s really important to feel comfortable with it. I’m very happy with my Travelpro® bags and I’ll be sure to keep you updated, as I get more accustomed to it. I’m looking forward to my first international trip with my Travelpro® bags soon to Australia! 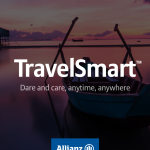 Disclaimer: I have partnered with Travelpro® and receive financial compensation. However, everything written in this post was by me based on my own experiences and have not been influenced in any way. I love my Travelpro bag! I don’t know my exact model name but it’s a carryon very similar to this one. I always saw the airline crews using it so I figured it had to be good and I got one. No complaints. Very cool they partnered with you, that’s a good fit I think. I am in the market for some new luggage, will be checking out Travelpro. Thanks for the great imformation! !